For more than 20 years 4More Space has made a name for itself providing modular and portable buildings across the UK. Offering a modular building transport service, we hope to continue the professionalism and dedication to our clientele that have made us one of the most trusted names in the industry. Our portable building transport is specifically set up for your needs. We deliver your accommodation to its destination using highly reputable companies that have worked alongside us and have demonstrated an ability to accommodate specific requirements from ourselves and our clients. Doing this ensures that we give you the very best product and service, delivered right to your site. Believing in the necessity of trust and business ethics, 4More Space prides itself on carefully reviewing those companies that provide us with modular building transport. Know that as a part of our process, we fully test and certify that all portable building transporters are trained. We review their documentation along with the method statements and rick assessment also known as RAMS. 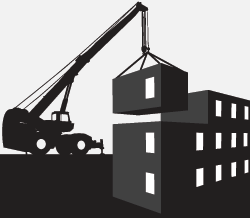 Whether you are relocating your own building from one site to another or you have a newly ordered building on its way, let 4More Space take care of the details. Call us today on 0870 803 1965 and we can give you a free, competitive quote. Along with our experience in the industry and dedication to our clients, we will work with you every step of the way to ensure that the final product lives up to your expectation. We look forward to hearing from you soon.